Well the repairs have been finished & the place now has carpet! 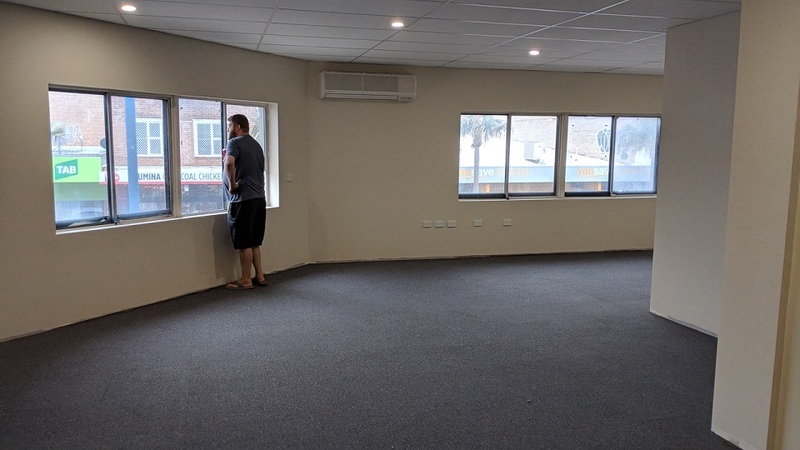 Here’s our resident guru staring out at the fantastic view (aka the street)… hopefully he is contemplating some new exciting game that we can develop…. Sparky has been ordered, electric supply organised…. its definitely looking good for moving in on the 15th January!